The Youth I.D.E.A.S. 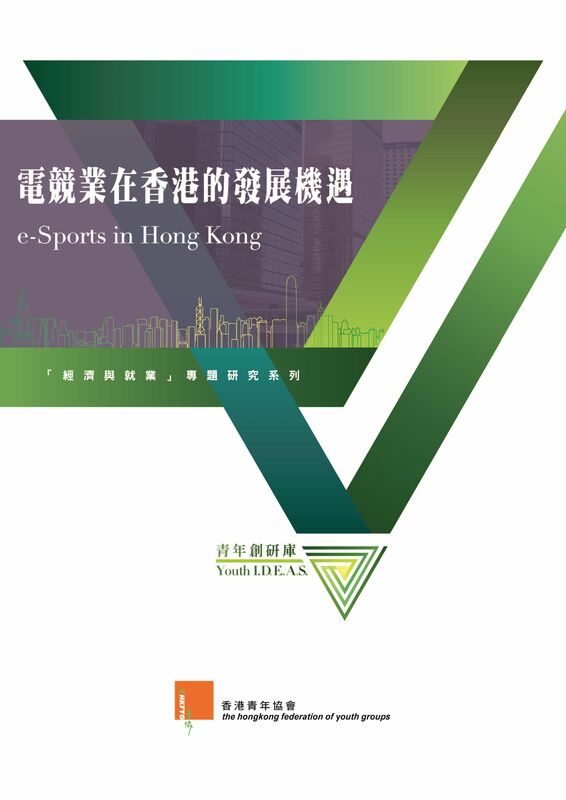 (established by HKFYG Youth Research Centre) has released its study on “e-Sports in Hong Kong”. Data gathered from 1,407 HKFYG members aged 15-29 showed that 38.5% have viewed e-Sports tournaments within 6 months before the survey while 13.4% have taken part in casual e-Sports competitions. 68.4% agreed that Hong Kong should further develop the e-Sports industry. However, they think that “opposition by family members” (58.9%) and “social misunderstanding on e-Sports” (48.3%) are two main obstacles for young people to take part in the industry. Some young e-Sports workers revealed that they need to avoid talking about their jobs or they are even being ignored because of opposition from family members. Some experts said that Hong Kong lacks suitable venues to organize regular local e-Sports leagues and therefore the industry is not yet in place. The study recommended the government considers e-Sports as a formal sport. It also recommended setting up a “e-Sports hub” and organizing relevant tertiary programmes for advancing the e-Sports industry.